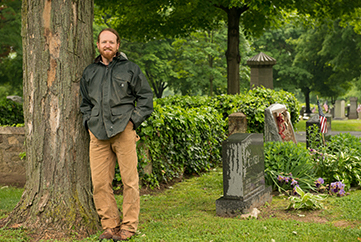 Historic Doylestown Cemetery is a non-denominational, private, non-profit cemetery offering traditional and natural burial options for loved ones final resting place. 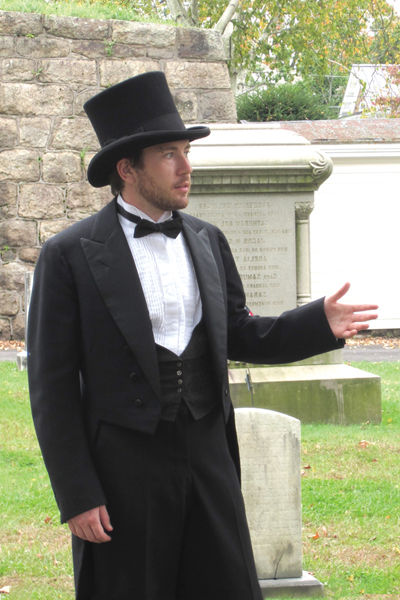 Doylestown Cemetery celebrates Bucks County's rich past by offering guided walking tours led by costumed guides from April through November. 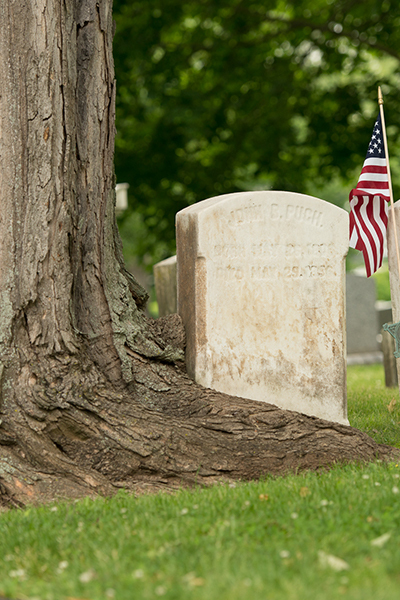 Marked by a memorial tribute, we offer several choices and locations for both traditional in-ground burials and cremation gravesites. 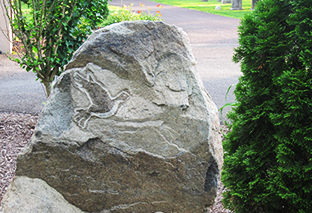 The beautifully landscaped Memorial Garden is an option for an unmarked natural burial. 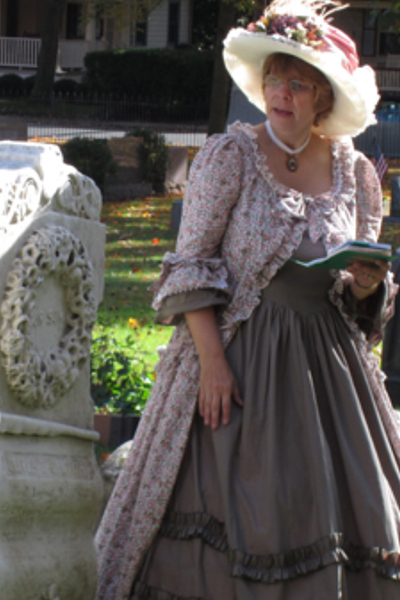 History is Alive at Doylestown Cemetery! 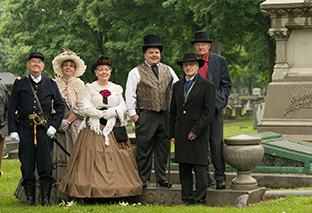 1st Saturday Civil War Tour 10am, 1st Sunday VIP Tour 1pm, 2nd Saturday VIP Tour 10am, 2nd Sunday VIP Tour 1pm, 3rd Saturday 19th Century Tombstone Tour, 3rd Sunday VIP Tour 1pm, 4th Saturday VIP Tour 10am, 4th Sunday Civil War Tour 1pm, 5th Saturday Tree Tour 10am, Walking tours are led by costumed guides on 90 minute - 2 hour tours. Private tours are available. 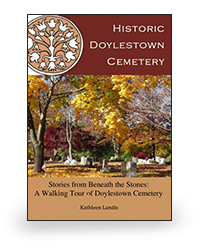 Author and Managing Director of Historic Doylestown Cemetery Walking Tours, Kathleen Landis unearths interesting facts and stories on the lives of many people resting in the Historic Doylestown Cemetery. This fascinating book also provides a self-guided walking tour map to follow along. Available for purchase. Tour guides will receive training and provided with information necessary to give informative, well-researched tours. 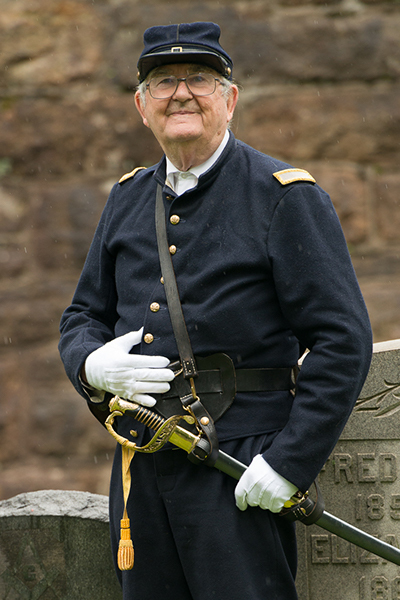 Guides have an option to wear a costume of their choosing depicting a period from 1850 to the present. Tours are given Saturday mornings beginning at 10:00 am and Sundays beginning at 1:00 pm. 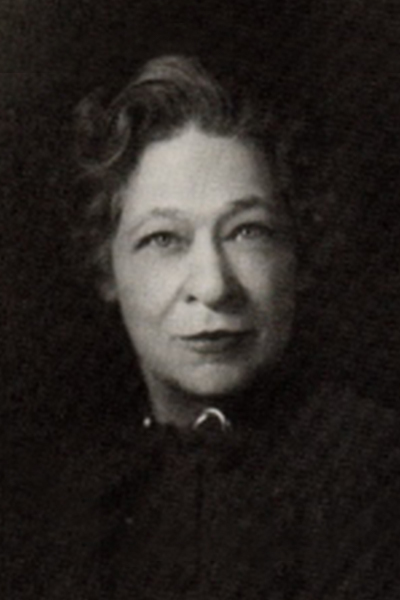 Conceived as a late-nineteenth-century garden cemetery Doylestown Cemetery originally included flower and rose gardens as well as flowering and ornamental trees and shrubbery. 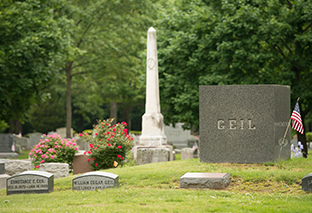 In an effort to restore the grounds to their former glory, the cemetery would welcome experienced and inexperienced gardeners to work with our groundskeepers and arborist to create and maintain the natural beauty of our grounds. 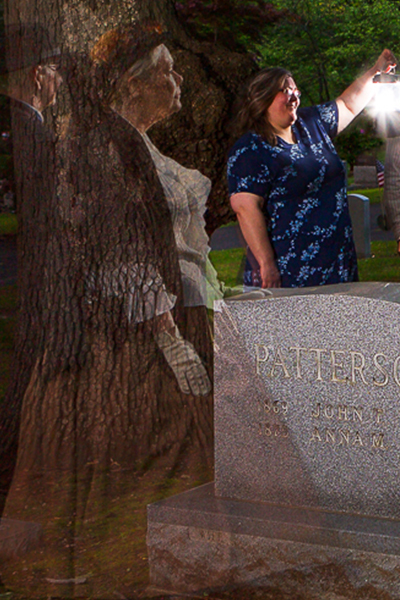 To learn more about volunteer opportunities contact us at 215-348-3911 or volunteer@doylestowncemetery.com.